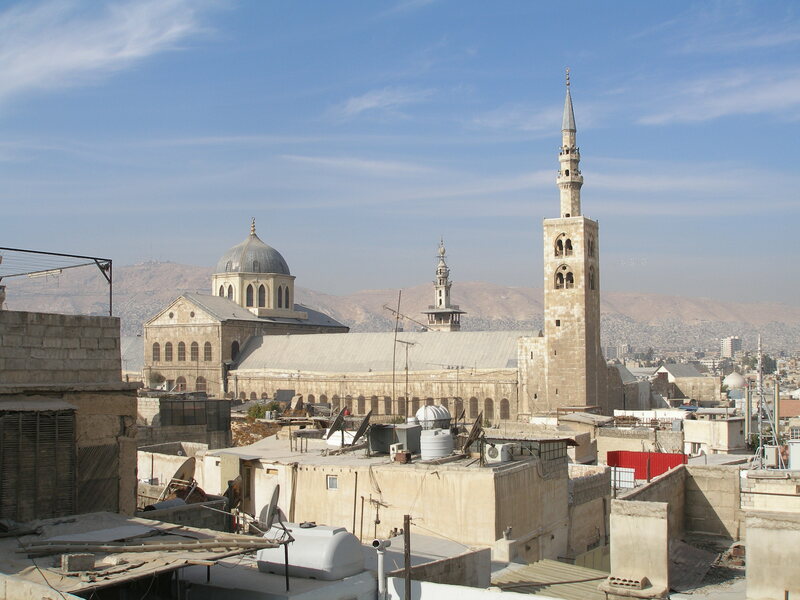 Nothing symbolises the cultural diversity and complexity of Syria more than Damascus’ Great Umayyad Mosque. Built on Aramean then Roman foundations, it was a cathedral, then a mosque, even serving as both simultaneously for nearly a century. But the colourful mosaic of Syria is becoming a broken jigsaw. Why is that? In a word, Iraq. The spectre of Iraq hangs over the way everyone has viewed the Syria crisis for the last two and a half years. Syria is seen through Iraq-tinted spectacles. From the start the media has wanted to see everything in terms of what went wrong in Iraq, and never more so than now. But Syria is not Iraq. It is so different from Iraq it is hard to know where to begin in listing the differences. The spectre of Iraq and the US/UK-led destruction of Iraq has held back any meaningful involvement in helping the Syrian opposition. In time the vacuum started to be filled by extremist groups, all too keen to get meaningfully involved. 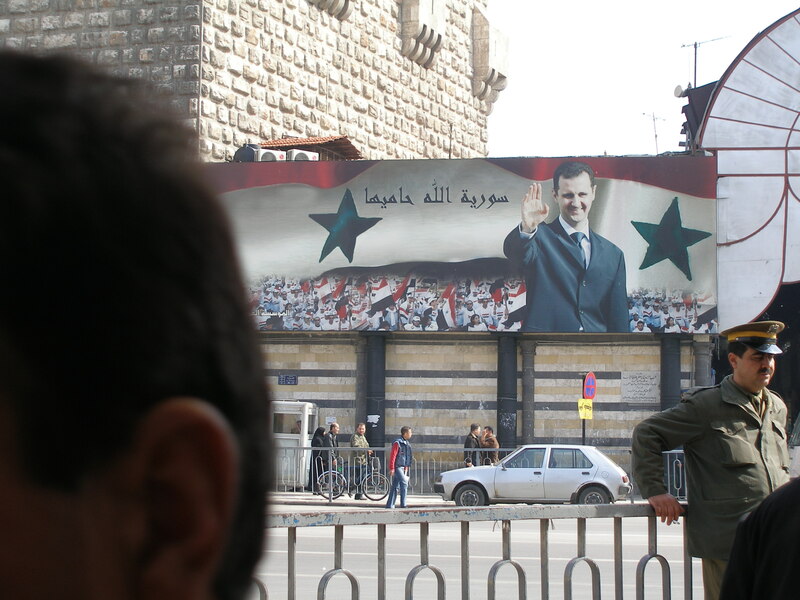 In the first year of the Syrian uprising there were no extremist groups involved at all, in the second year they grew to 5% of the opposition forces, and in the third year they have grown to 15% and rising. Abandoned by the west, Syrian rebels had little choice but to accept the help of extremist Islamist groups in fighting the omnipresent Assad regime, in power for over 40 years and very deeply dug in. What else could they do? The spectre of Iraq has held back western public opinion from supporting Syria in its quest for a fair new Syria, a Syria where arbitrary arrest and torture, routine under Assad’s Ba’athist system, is finally abolished and political prisoners are set free. And now the spectre of Iraq has prevented British MPs voting to support military action. Britain has abdicated and sidelined itself, tied itself in tortuous knots made up of Iraqi string. No one, it seems, can see past the spectre of Iraq, and the media must take its share of the blame in this. The media loves a good crisis, a good war. Suddenly Syria is all over the airwaves, when it was barely getting a mention before the chemical attack. It had become too boring, too routine, averaging about 200 deaths a day, not really worth mentioning, unless of course there was a nice cannibal to report on. If America takes military action now, it will be doing so for all the wrong reasons and the consequences are by definition unknowable. Syrians are pawns, their fate is being decided by outside players who are now finally, when it is too late, becoming involved for their own reasons, with their own agendas, not for any genuine humanitarian reasons. The ‘Responsibility to Protect’ rule could have been invoked long ago if western powers had wanted. But the spectre of Iraq held them back. 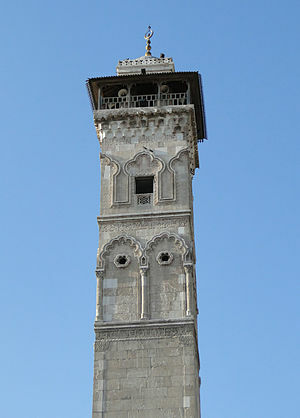 According to Islamic popular tradition, Christ will descend from the Jesus Minaret of Damascus’ Great Umayyad Mosque before the Last Judgement to fight the Antichrist. Never has Syria needed a saviour more than now. Syria is not Iraq. But it is cruelly haunted by the ghost of Iraq. Maybe in the future we will all be haunted by the ghost of Syria, for our failure to help its deserving people. So far the biggest single loss to Syria’s heritage has been the total destruction in April 2013 of the 11th c Seljuk minaret of Aleppo’s Umayyad Mosque. It is the equivalent to the complete loss of say, Big Ben, to the skyline of London. Like Big Ben it is not just a building, but part of the psyche of the city, something deep-seated and iconic that is hard to quantify as a loss, not just to the outside world but above all to the inhabitants of Aleppo. The 50 metre-tall minaret, one of Syria’s most important medieval monuments, had survived earthquakes, fires and previous wars, but has now been reduced to no more than a heap of rubble, beyond reconstruction. Its delicate stonework and elegant tracery made it one of the earliest examples of a true Syrian Islamic style of architecture. Aleppo’s famous souks were burnt, and though the wooden doors and merchandise have all gone up in smoke, the stone vaulted roof for the most part survives. UNESCO has now put all 6 of Syria’s World Heritage sites on the endangered list, to draw attention to the threat that the ongoing war presents. The two famous Crusader castles of Crac des Chevaliers and Saladin’s castle together constitute one UNESCO site, and have so far suffered damage from shelling, but the damage is reparable. Palmyra’s Temple of Bel has been hit by shells, but that damage is also reparable. The so-called ‘Dead Cities,’ or ‘Forgotten Cities’ as the Syrian Ministry of Tourism preferred to call them, are in the heart of Idlib province and therefore in the thick of a war zone, but since they are entirely built of heavy stone blocks it is hard to damage them. So far the Roman theatre of Bosra in the south has escaped damage, as has the Old City of Damascus, since fighting and shelling has taken place in the capital’s suburbs rather than the old centre, unlike Aleppo and Homs. 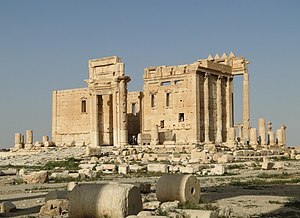 Most destroyed of all so far have been other sites, not UNESCO-listed, such as the Roman mosaics displayed in the caravanserais of Apamea and Ma’arat Nu’man, which have been badly looted and pillaged. Lawlessness is a tragic side-effect of war, and it may well be that the worst and most serious damage to Syria’s heritage will come from looting rather than actual war-damage. Unfortunately, scum rises to the top in war.